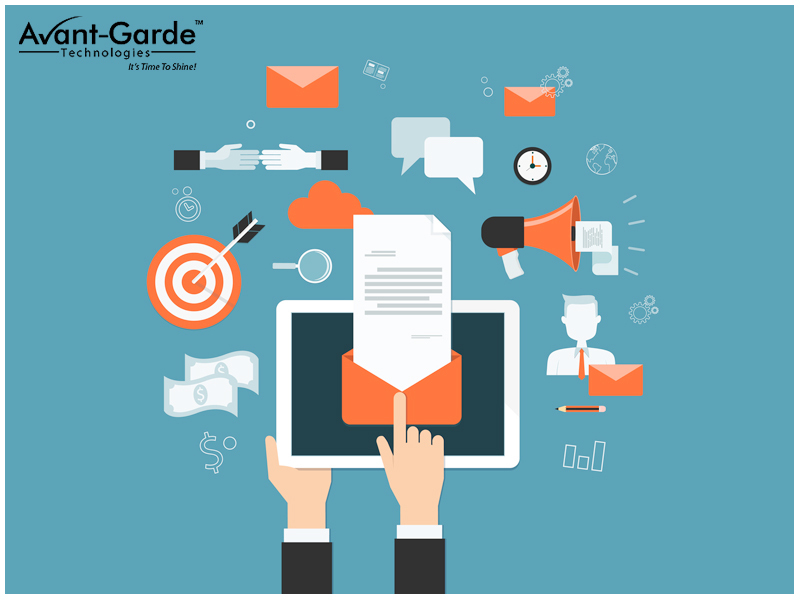 The best Email marketing Company in Kolkata uses different types of emails to drive more number of customers and maintain a healthy relation with them. Email marketing is the marketing technique to send a commercial or a business message to a bulk of people at a time using email. Email marketing involves sending advertisements, promotions or solicits sales. Email marketing helps to build trust, loyalty and brings brand awareness. Email marketing is basically the use of email for promoting your business products and services. Email marketing is a segment of online marketing. It is similar to sending direct mails with only one difference that is direct mail is sent through postal services whereas emails are sent electronically. Email Marketing Kolkata has proved to gather huge number of people via smartphones and tablets since maximum percentage of people are found to be using their smartphones all the time and don’t even get time to look at their computers. Emails can be sent to a particular group of customers as well as to a single targeted customer. The emails which are sent mainly contain offers and special deals on its products and services. Email marketing can also be personalized. For example, a restaurant can send an email containing a 50% off offer to its customers on their birthdays. Email marketing helps a lot to develop a healthy relation with its customers which in turn results in increased sales and profit. The two main advantages of using emails for marketing are ease and price. Emailing is obviously an inexpensive way to advertise and promote your establishment along with its services and products. It is far better than other online marketing techniques. Moreover, it is quite easy to set up or track email marketing campaigns thus making it an accessible online marketing channel for small and large businesses. Newsletters can also be sent to the email ids of the list of customers via emails and hence paves the way to reach out to your customers via these newsletters. The newsletters sent mainly contain news or necessary information regarding your website, your company, upcoming events or any special offers. This is a great way to remind your customers about the existence of your business and to remind them that it’s the time for visiting your site once again. Transactional emails: – Transactional emails are generally triggered based emails. The transactional messages incorporate dropped basket messages, purchase or order confirmation emails, email receipts, order status emails, password reset emails and reorder emails. The chief purpose of this type of email is to convey the information regarding the action of the targeted customers. But, because of their high open rates, the transactional emails pave the way to an opportunity to extend the strong relationship with the existing customers or subscribers. Direct emails: – Direct emails involve sending an email exclusively to send a promotional message regarding any special offers or the product catalogue. Companies usually gather the names of the customers or their email addresses to convey direct promotional messages to them.